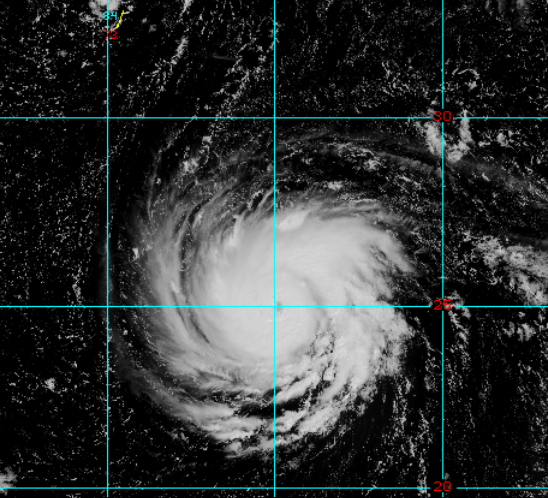 Hurricane Florence has strengthened into a Category 4 storm with maximum sustained winds near 130 mph. Hurricane Florence has strengthened into a Category 3 storm as of the National Hurricane Center’s 11 AM ET update. Maximum sustained winds are around 115 mph. Further strengthening is anticipated as Florence continues its trek towards the north and west. Interests along the East Coast need to monitor Florence’s movements closely. 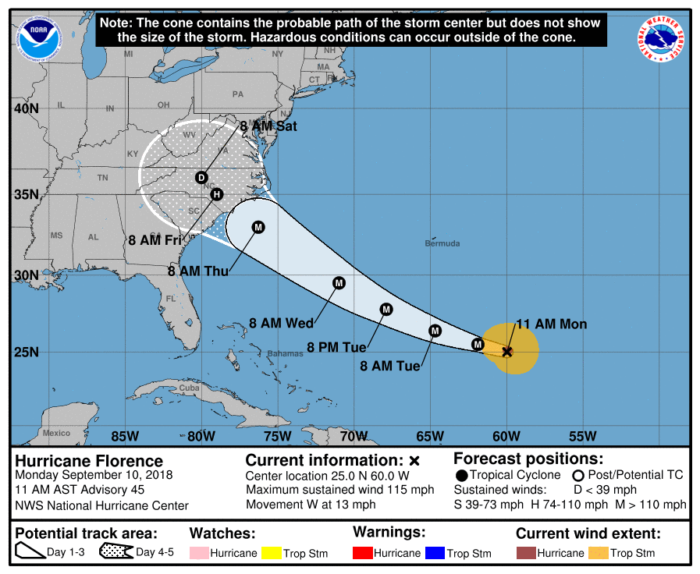 As of now, Florence is expected to make landfall on the U.S. East Coast sometime Thursday. Landfall is anticipated somewhere in the Carolinas. It’s important to prepare for hurricane conditions regardless of exact landfall location. Tropical storm force winds can be expected as early as late Wednesday evening. 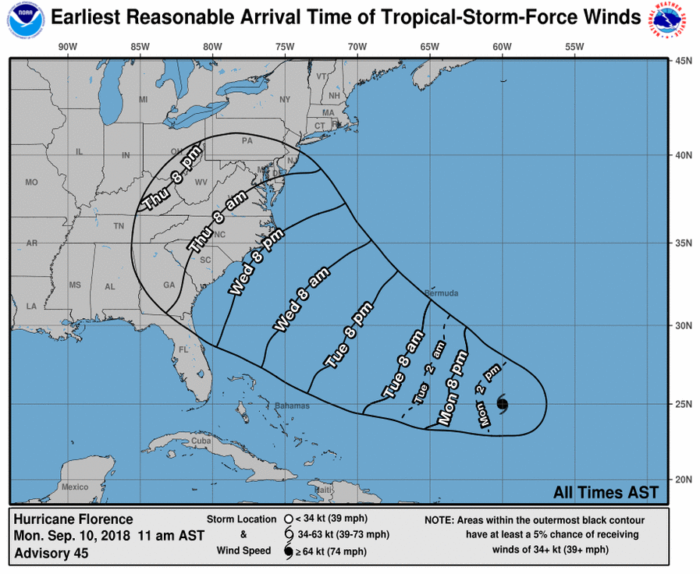 If you live along the East Coast, this is the time to make sure you have all your supplies, review your safety plan and pay close attention to forecasts from the NHC. Florence will continue to strengthen over the coming days. It is expected to become a Category 4 hurricane by tomorrow. Florence will be a powerful and dangerous storm as it nears the United States. North Carolina, South Carolina and Virginia have already declared states of emergency. Life-threatening storm surge, exceptionally heavy rainfall and flooding, hurricane force winds and tornadoes are all possible threats.